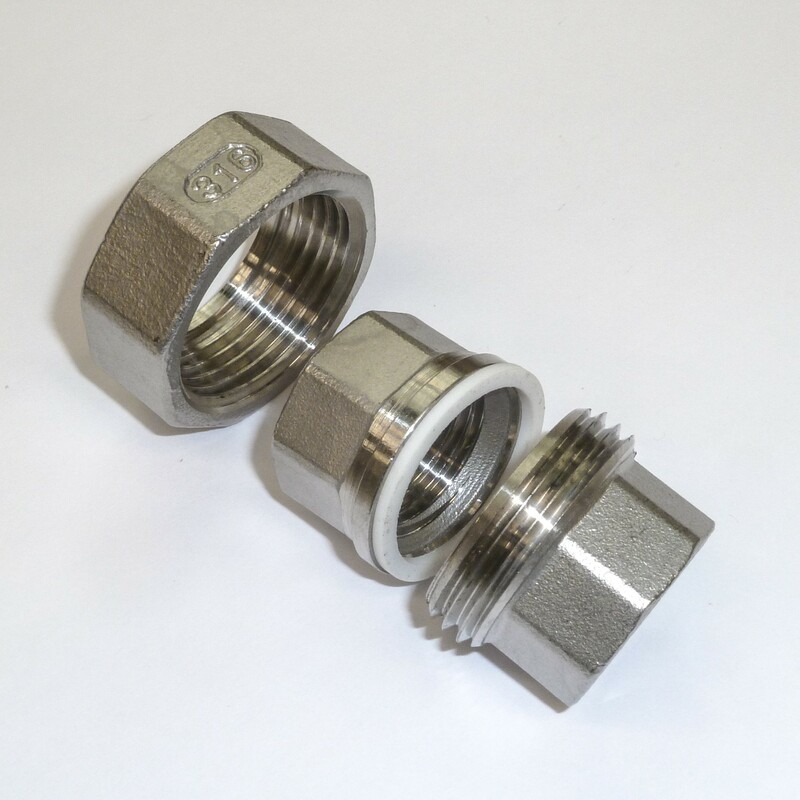 Hex coupler with 2x female 1/2" BSP thread, to connect two male BSP parts. A teflon ring ensures a good seal between the two end pieces. 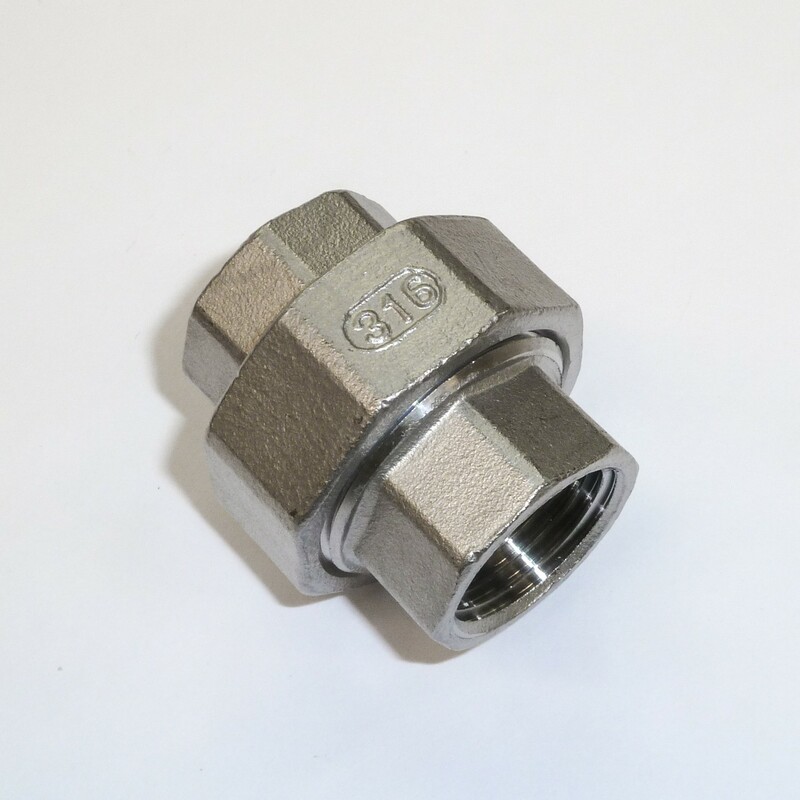 The benefit of this 3-piece coupler is that you can freely rotate the pieces you want to connect, then just press them together with the outer ring. This also makes it a lot easier to take a part of your setup out for maintenance. 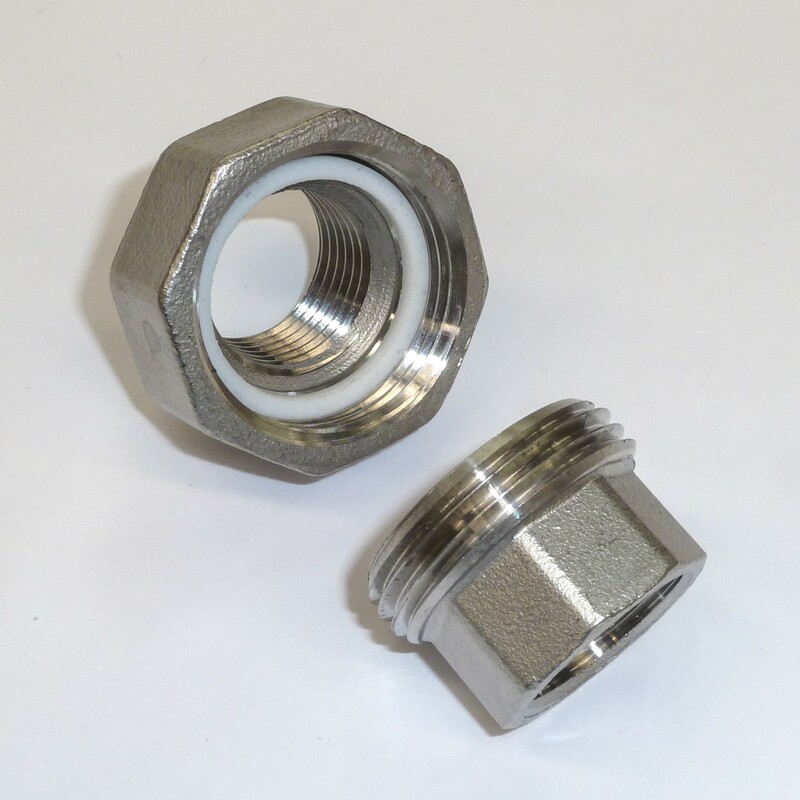 The spanner size for the outer ring is 35mm.